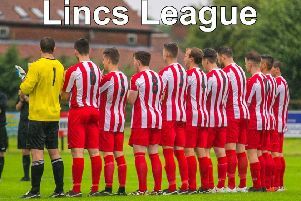 Skegness Town will hope their success at Ollerton can act as a springboard as they face a string of tough fixtures in the weeks to come. Title-chasing Hallam are the visitors to the Vertigo Stadium on Saturday (KO 3pm) looking to keep their promotion hopes alive by extending their unbeaten run of seven games at the Lilywhites’s expense. 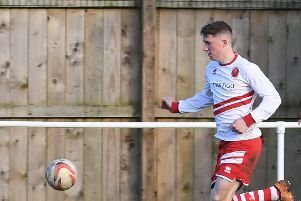 The Sheffield-based club, whose players have included former England international Chris Waddle, also hold the highest away win record for this season with a 7-0 victory at FC Bolsover. And they top the attendance charts with an average of 259 supporters at home games this season. The second-highest scorers with more than two-and-a-half goals a game this term, Hallam also boast the best defence, having conceded 1.11 goals a game. They currently sit in fourth place, but have games in hand over those above them, so they are expected to be there or thereabouts at the end of the season. Town will have Tom Sawyer back in contention after his suspension, while George Hobbins is also expected to be back in the squad. Seven days later the two sides will have it all to do again when Skegness travel to Hallam for the return fixture.